It's a strange thing - I've ridden a fair bit and photographed horses at Epsom and Newmarket, but never a horse portrait! 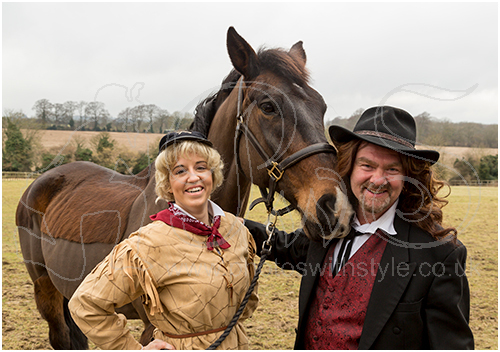 Well here I am in Tadworth doing so with Emily Evans as Calamity Jane and Barry Stevens as 'Wild' Bill Hickok. It's just over 5 weeks until the opening night at Epsom Playhouse, though sadly there will be no horses on stage.